Rescuers were called out by UK Coastguard on Wednesday afternoon to a safety boat in trouble just outside Portsmouth Harbour. 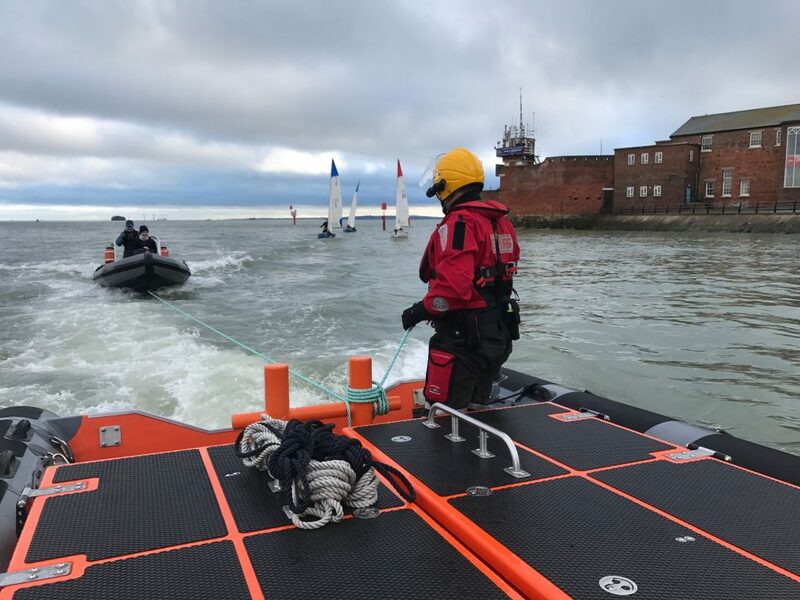 Volunteer crews from Gosport & Fareham Inshore Rescue Service (GAFIRS) were mobilised just after 3pm to assist the 4.5m RIB that had broken down in the Swashway, just outside the harbour entrance. 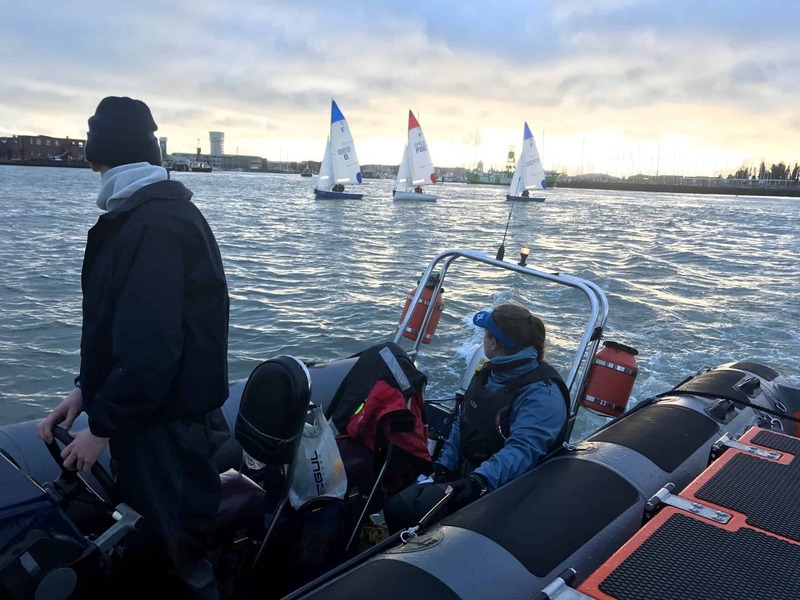 The vessel was acting as safety cover to three sailing dinghies – all double manned by students – and was unable to carry out its duties after its engine stopped and couldn’t be restarted. In total the operation lasted two hours and was GAFIRS’ seventh of the year. It took the service’s tally of rescues up to four in the last two weeks alone. 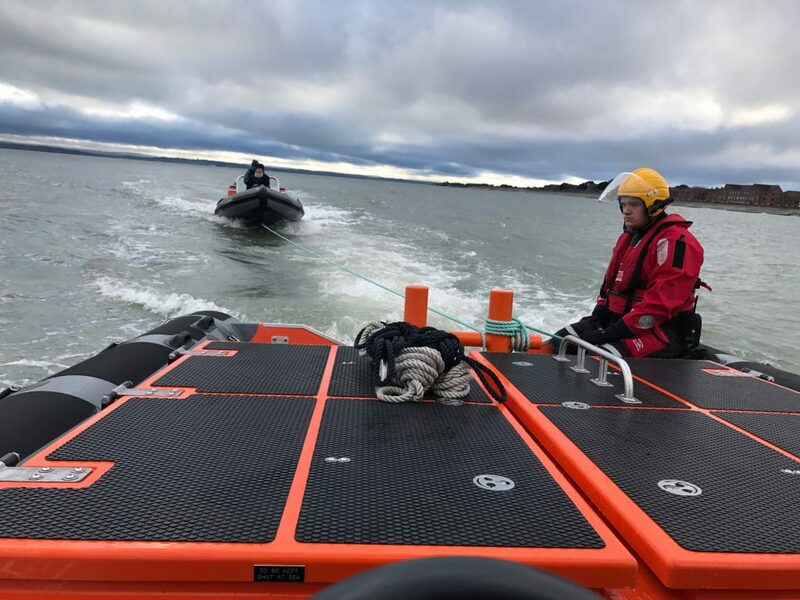 On Saturday, February 4, GAFIRS helped free a fishing vessel that had snagged its propeller in The Solent. Then on Monday, February 6, crews assisted another fishing boat that had suffered engine failure in Stokes Bay. And then on Wednesday, February 8, GAFIRS helped police with an incident with a vulnerable person in Portsmouth Harbour. Last year the independent lifeboat station attended 112 incidents. Based at Stokes Bay, Gosport, GAFIRS is manned entirely by volunteers and is on call to the Coastguard 24 hours a day, 365 days a year.